Last week I talked about my potatoes that I dug up very late in the season. What I didn’t mention was that same day I also dug my dahlia tubers that were still in the ground. Turns out they where in fine shape shape as well. It makes perfect sense that the tubers would look so nice. The ideal storage temperature for dahlias is around forty degrees Fahrenheit and that’s about what the soil temperature was. I checked the soil temperature in my garden again this morning and found that even now, during the first week of December, it’s running about 40F. What kind of surprised me was how warm the soil is even with the colder than normal November we experienced. Looking back on the several weeks, a pretty good set of circumstances lined up for my dahlias. First, the tops were froze back by the frost back i October. Then I left them in the ground for well over a month. That allowed the tubers to develop healthy “eyes”, just like the eyes on a potato. 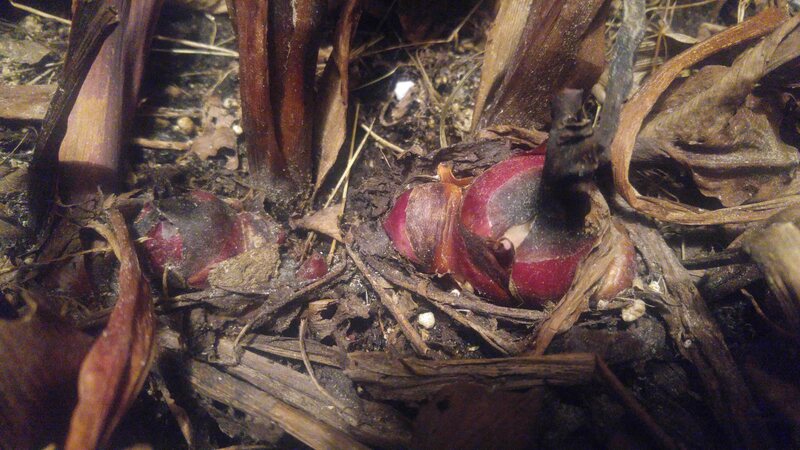 With strong eyes, my tubers should make good, strong growth next spring — that is if I take good care of them over winter. This is a typical dahlia tuber but they come in a wide variety of shapes and sizes. There’s a few simple tricks to keeping dahlias over winter. The first is to store them at the proper temperature and we already know what that is — just don’t let them freeze. The second crucial factor is humidity. 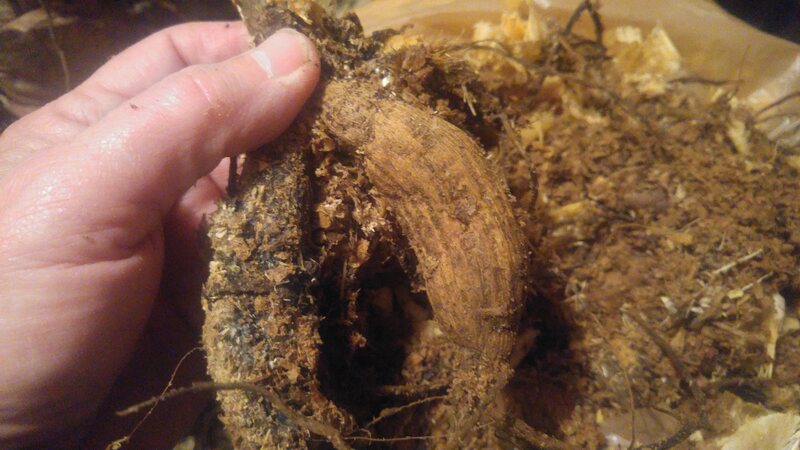 If left out in the air during storage, the tubers will dry out due to the low humidity we typically have in our homes in the winter heating season. So the solution is to store them in air tight containers. For a small amount of tubers, maybe under a hundred or so, I find keeping them in zip-loc bags is a good way to go. 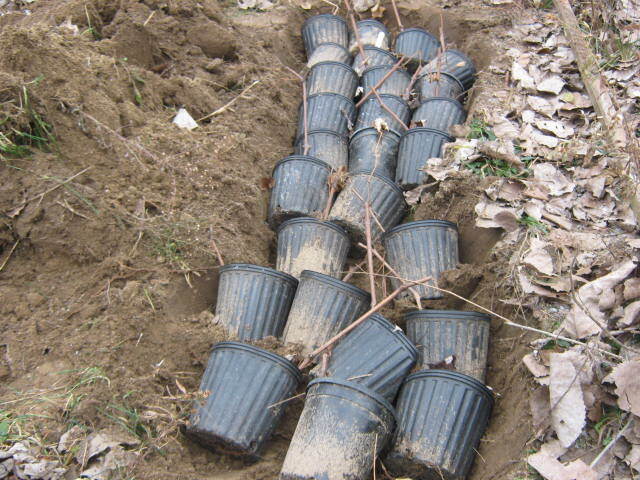 I usually separate the clumps of tubers into singles, then place one or two in each bag. To maintain good humidity I add moist sawdust to the bag. If you have more that one tuber per bag, the sawdust also keeps the tubers from touching each other. While you’re at it, add a tag so you know what variety it is. Even though I had success in the past using peat moss, potting mix or garden soil, I’ve found that sawdust works best for me. I’ve heard of people using shredded newspaper but have never tried it. However, with so many people opting to get their news online, printed newspaper is getting harder and harder to find these days . You can easily solve that dilemma by subscribing to Detroit News home-delivery, but I digress. The third and final secrete is to check on them once in a while. Open them up and make sure the packing material is still moist. Also, toss any rotting tubers you might find. 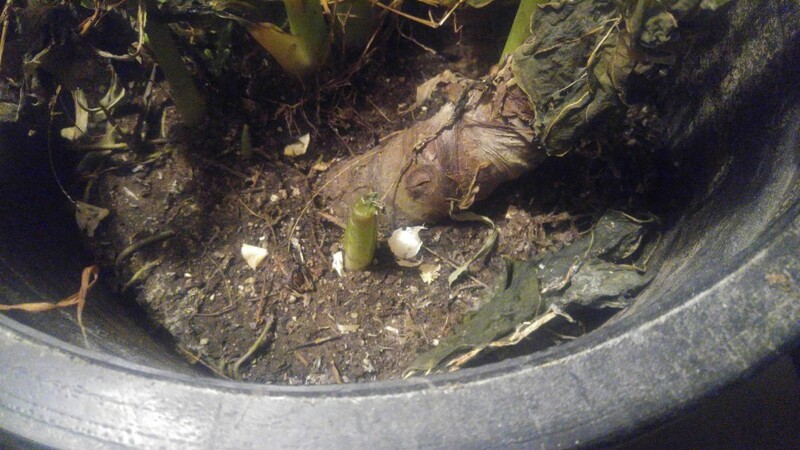 It’s pretty disappointing to open them up in the spring only to find out your tubers were ruined due to neglect over winter. Those plants you bought from the garden center and planted in your garden, most likely grew a set of usable tubers. Since soil temperatures are still hovering around 40 degrees F, it may be fun to check in your garden to see if your dahlia tubers are still good. Dahlia farms are asking $3.00 and up for each tuber (not including shipping) so it may be worth your while to poke around in the garden. Let us know in the comment section what you find. We had a pretty decent crop of Butternut squash this year. I planted them in a new part of the garden, which I’m sure helped boost the yield. Plus, we had very few insects on the squash. As a result, we now have plenty of Butternut that will go into storage straight from the garden — unprocessed. 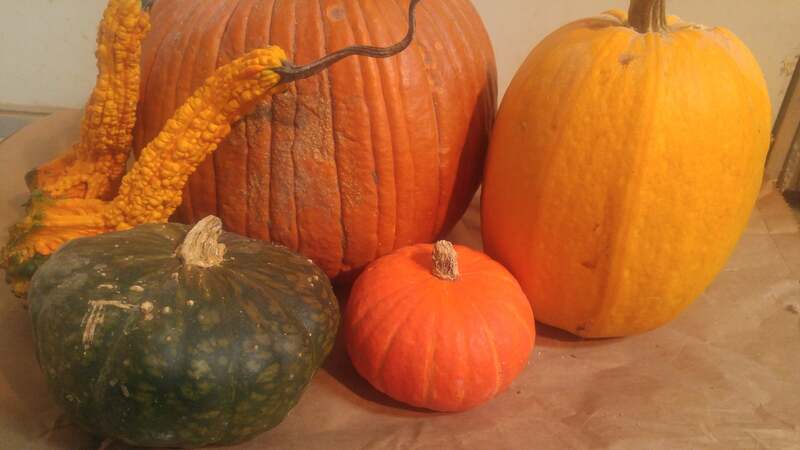 If you keep winter squash under the proper conditions, you can enjoy them well into winter. The most important thing to keep in mind is to leave the stem on the squash. This is true of all varieties of winter squash and pumpkins. A broken stem leaves an opening for the organisms that cause spoilage to enter the squash. If you plan to use them in the next week or two, then it really doesn’t matter if the squash has a stem or not. Sometimes you can find farmers selling stemless winter squash at a deep discount. Other than cooking them for a meal, you can freeze or can those bargain farmer’s market squash to use later on. If the stems are breaking off your squash as you pick them, use your pruning shear to cut the stems from the vine. You’ll find it’s worth the extra effort. 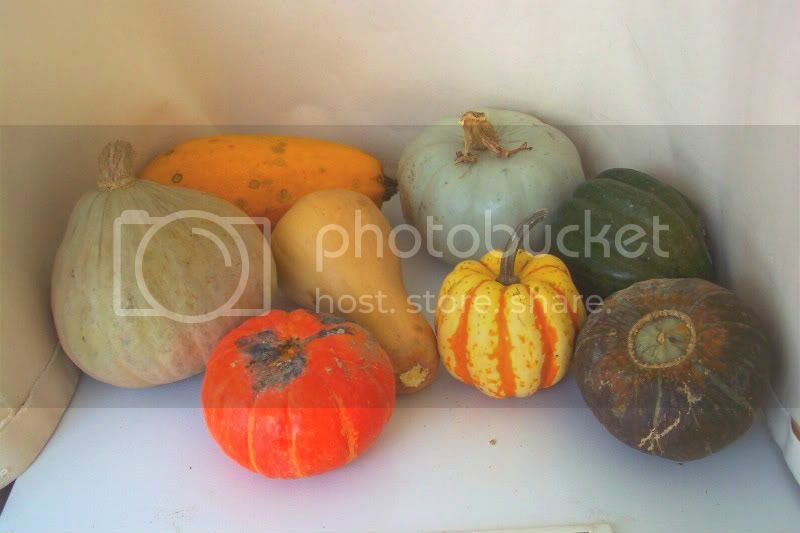 Store your best, unblemished squash in a spot that will stay around 50 degrees F with about 50 percent humidity. 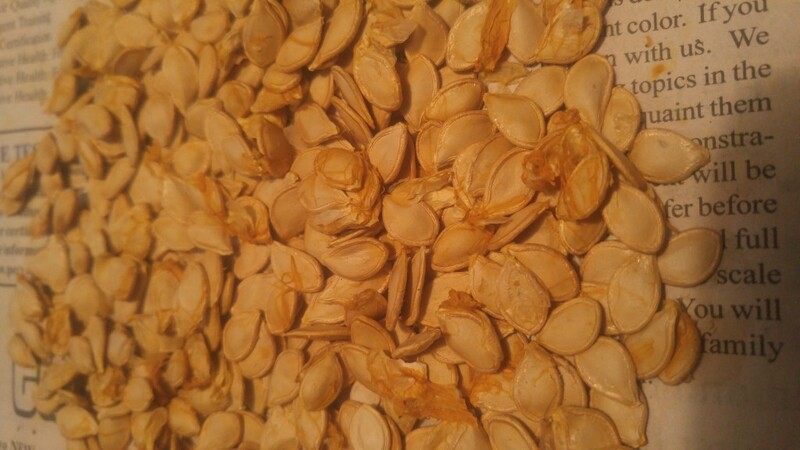 You should be able to enjoy your home-grown squash into early 2013.